If you’re searching for a “family dentist in Shelton”, you’ve come to the right place. Our office is located less than 15 minutes south of Shelton meaning that you’ll always have a dentist nearby. 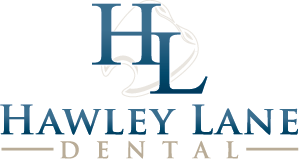 When it comes to not only preserving but also enhancing the dental health, Hawley Lane Dental serves the community near you as a top-rated dental office. Follow CT-8 S to CT-108 W/Nichols Ave in Trumbull. Please call our Stratford office at 203-377-9300 today or fill out our online contact form!